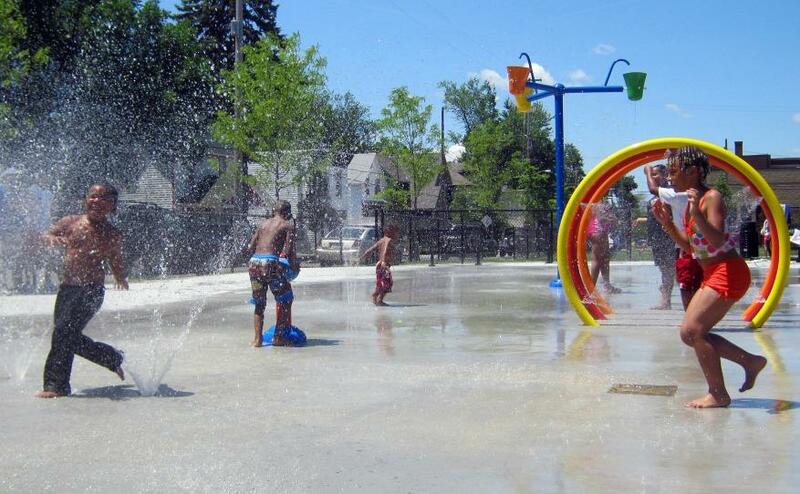 Several splash parks are open in the City of Grand Rapids, and free. Kraght says staying out of the sun during the middle of the day and drinking lots of water is the best thing to avoid heat stroke. The Red Cross is prepared to open cooling centers if there’s a demand. Grand Rapids Mayor George Heartwell urged people to keep elderly neighbors and young children in mind because they are more vulnerable to heat stroke. “It would be tragic in this community if we were to lose even a single life as a result of this heat when there are resources available. Please, please take advantage of them,” Heartwell said. The vast majority of Michigan counties participate in 2-1-1 help lines. People looking for a place to cool down, or who need transportation to get to a cooling center can call 2-1-1 for help.